In December of 2010 I had my usual mammogram. As usual, it came back suspicious. I was already very depressed because my husband was deliberately giving me a rough time. Since I really didn't care if I did have cancer, I did not follow through with more tests that were suggested. Plus the fact that over the years I have had many false scares and figured this was just more of the same. I didn't bother to tell anyone, especially my husband. I kept getting calls from my family doctor and my surgeon and they both tried to get me to have more tests and follow this through. I still did nothing. The holidays came and went and my mom finally sold her house and needed me to help her pack up and not only get moved but find someplace to move to. By the first of March she was settled in her new apartment and things were settling down. Since the doctors kept "bugging", me I finally went in for an ultra sound and then a biopsy. With the results still not conclusive, I continued to do nothing more. Finally at the end of March, I came down with pneumonia. Then I HAD to see my doctor. He asked my husband if he should call the squad or if he’ll take me to the ER. My husband took me and I was put right into ICU. Before we left his office though, my doctor asked me if I had told my husband about the other issue. When I said no, he told me it was time. I let him tell my husband. I still didn't want to and I couldn't anyway. I could barely breathe as it was. He didn't react very much at all. After I was cured of the pneumonia, I then HAD to face the fact I HAD to continue with more tests. Long story short, and many tests later, it was decided that I’ll go ahead with a mastectomy on the left side. My surgeon still wasn't FOR SURE what it was, but didn't like what she was seeing. After consulting with several other doctors, she encouraged me to have the surgery. Finally, I’ve decided “OK, let’s just do it”. She asked me if she could send the tissue to the Mayo Clinic for more tests. It came back with a positive for cancer. WOW that was close. Then I had to decide what the next step was. After lots of questions and praying for the correct decision, I went ahead with the right side mastectomy. Both sides are reconstructed and I am cancer free. If it weren't for my Doctors and their insistence on getting to the truth, I could very well be dealing with chemo and who knows what all by now. As it turned out, it was caught in time and since I went ahead and had the right side removed, I had no chemo and won't have to now. My husband did help me through the first one for a while. I did find out that the rest of my family and friends cared and supported me and helped me through it all and were upset that I even thought about not doing anything. Now it is all behind me. My final reconstruction surgery was on the 3rd of May in 2012. I have been released and am free to go on with my life. I am so very GRATEFUL to my doctors for being so insistent and not letting me get away with doing nothing. EARLY DETECTION and my doctors saved my life. Of this I have no doubt. I thank GOD for them every day! 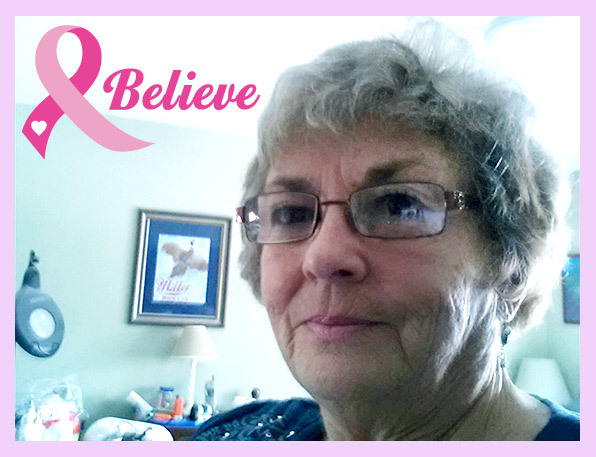 I realize it is not the usual cancer story, if there even is such a thing, but it is MY story and I AM a SURVIVOR!